The research answers a decades-old mystery about the death of cells, which in some situations can alert the immune system to potential danger, but in other circumstances occurs ‘silently’, unnoticed by immune cells. Dr Michael White and colleagues have discovered how ‘silent’ cell death avoids activating the immune system. Silent cell death, or apoptosis, is a controlled way for the body to eliminate cells that may be damaged, old, or surplus to the body’s requirements, without causing collateral damage. This ‘normal’ cell death process is ignored by the immune system. In contrast, the death of cells at sites of infection or damage can alert the immune system to be on the lookout for danger. The team focused on the role of proteins called caspases, Dr White said. “Caspases hasten cell death by breaking down key components within the dying cell,” he said. “Because apoptosis can still occur without the involvement of caspases, we investigated whether these proteins play any other role during cell death. “We found that when cells undergo apoptosis without caspases, they release immune cell signaling molecules called interferons that set off the immune response. Professor Kile said the discovery provided new insights into the links between cell death, the immune system and disease. “Our health relies on our immune system’s ability to distinguish between the millions of cells that are supposed to die in our body every day to make space for new cells, and the unexpected death of cells that signals danger,” he said. “The over-reaction of immune cells to apoptosis may be a factor contributing to inflammatory diseases such as rheumatoid arthritis. The findings also provide important insights into how the body may tolerate potential new drugs, Professor Kile said. “Caspase-inhibiting medications are currently in clinical trials, for example being tested for their potential to keep cells alive during organ transplants. However, our work suggests that any use of these medications should be accompanied by careful monitoring of their effects on the immune system,” Professor Kile said. 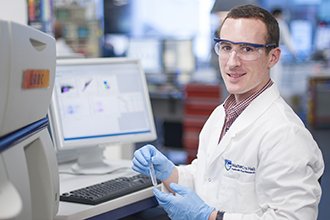 Dr White began the research as a PhD student enrolled through The University of Melbourne’s Department of Medical Biology. 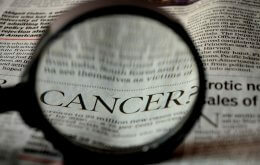 The research was supported by the Leukaemia Foundation of Australia, Cancer Council Victoria, National Health and Medical Research Council of Australia, Australian Postgraduate Award scheme, Human Frontier Science Program (US), Sylvia and Charles Viertel Foundation, Australian Cancer Research Foundation and the Victorian Government.